Today’s Authors’ Pick has been chosen by Stephen Whiteside. My best read of the year, without a doubt, was “Fanny Stevenson – Muse, Adventuress & Romantic Enigma” by Alexandra Lapierre, translated from the French by Carol Cosman, published by Fourth Estate, London, in 1995. 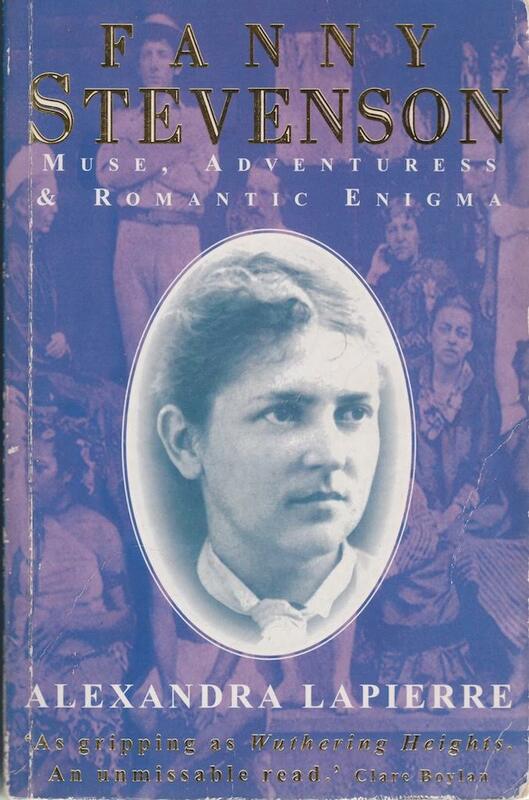 Fanny Stevenson was the wife of Robert Louis Stevenson, author of “Dr. Jekyll and Mr. Hyde”, “Treasure Island”, “Kidnapped”, and so many other fabulous adventure stories. Fanny was American born, and unhappily married when she met R.L.S. (nine years her junior) in France. She was an absolute dynamo – a turbo-charged autodidact. It took my breath away reading what she achieved from very humble beginnings and minimal outside assistance. Whenever I feel I have hit a roadblock in my life, I suddenly think of Fanny, and realise I have probably only explored about one tenth of the possible solutions! Mind you, it took its toll on her. She suffered from mental illness off and on throughout her life. Her principal pattern was loss of memory at times of stress. Putting my doctor’s hat on for a moment, I suspect she might have been suffering from a condition called TGA – total global amnesia. Then again, there was also talk of hallucinations, which complicates the picture. In addition to her many other skills and passions, she was a consummate home-maker and (self-taught) cook. With a cigarette between her lips, her sleeves rolled up, a battery of casseroles in progress, she lit up her ovens. Alchemist or magician, this time her bisques, her sauces and roasts reached perfection. She no longer improvised recipes but was inspired by the cookbooks she received from France and laboriously translated, with much reliance on dictionaries. She corresponded with three chefs from Louisiana, comparing their techniques, their utensils, their ingredients. Another aspect of Fanny’s originality, and one particularly unusual in the nineteenth century, was her interest in international cuisine. She was a passionate admirer of Asian cooking, and shopped in the swarming markets of Chinatown where no white woman dared set foot. She jotted down her research, her experiments, her failures, despairing of her groping efforts, aimed at excellence, and, without being in the least conscious of it, struggled to turn her culinary gifts into an art. Stephen Whiteside’s collection of rhyming verse for children, “‘The Billy That Died With Its Boots On’ and Other Australian Verse”, was published by Walker Books in 2014, and won a Golden Gumleaf for “Book of the Year” at the Australian Bush Laureate Awards during the Tamworth Country Music Festival in 2015.